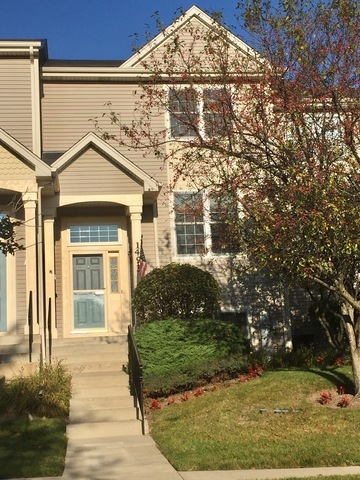 Impeccable 2-story townhome with lots of natural light, original owner and a warm, open floor plan. Meticulously maintained with 3 floors of living space and newly finished hardwood floors throughout first floor. New windows throughout, including new sliding glass door. New furnace and hot water heater. Custom full island installed for extra sitting area and kitchen cabinets. Super-soaker tub in shared master bath. Entire 2nd floor professionally painted. Whole home central humidifier and heated garage await you in your new home. Home near expressway and walking distance, across the street to the park. Easy potential for 3rd bedroom on second floor. Plenty of storage space available.